Big Data has changed the way that we use and manage data. We now have more data than we've ever had before in higher velocities from more sources across the organization. Businesses can't afford to miss opportunities due to time spent “data wrangling” in order to mine their data for useful nuggets. They are also looking for enterprise-class solutions that go beyond simple tools such as Sqoop, which is more suitable for test and dev environments. 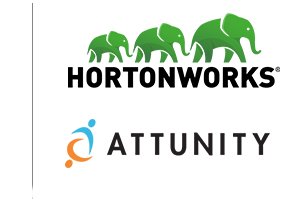 Read this whitepaper to learn about a solution that Attunity and Hortonworks offer to alleviate those challenges. Enterprises are leveraging the joint solution today to dramatically improve the flow and accessibility of Big Data to achieve faster time-to-value and competitive advantage.